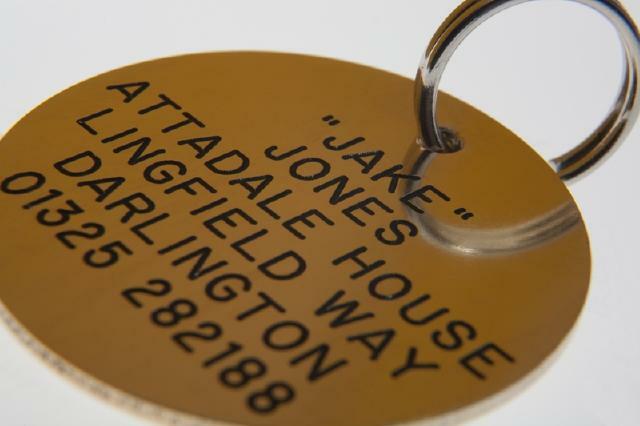 Your dog should continue to wear its Rescue Remedies tag until your own tag arrives. 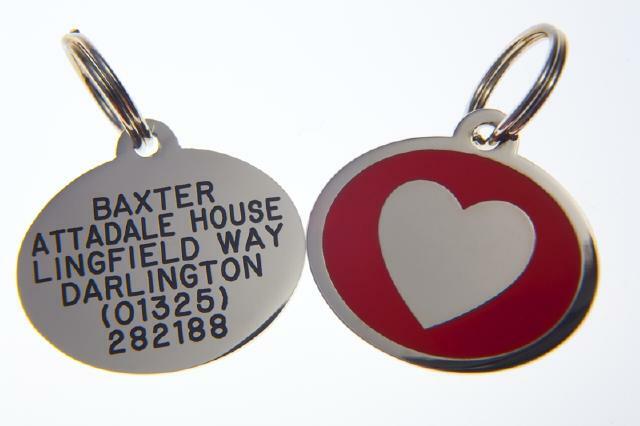 You are welcome to keep both tags on the dog's collar, but if you no longer need our tag, please post it back to us. 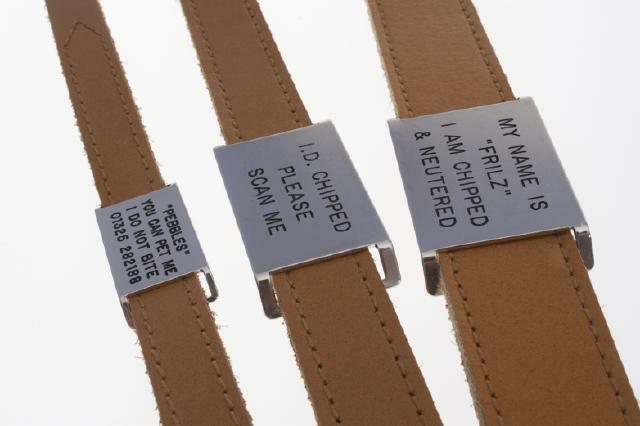 The Control of Dogs Order 1992 says that all dogs must wear a collar with the owner’s name and address written on it, or on a disc attached to it, when in a public place. The telephone number of the owners should also be displayed. Any dog seen without a collar in public may be seized by the local authority and treated as a stray. The person in charge of the dog and/or the owner of the dog will/may be fined or and prosecuted. By law, all dogs must be microchipped and carry a tag/disc on their collar with their owner's up-to-date contact information. Ideally, that contact info should include a mobile phone number. Get a pressed disc, not an engraved one, as engraving can wear away with time. 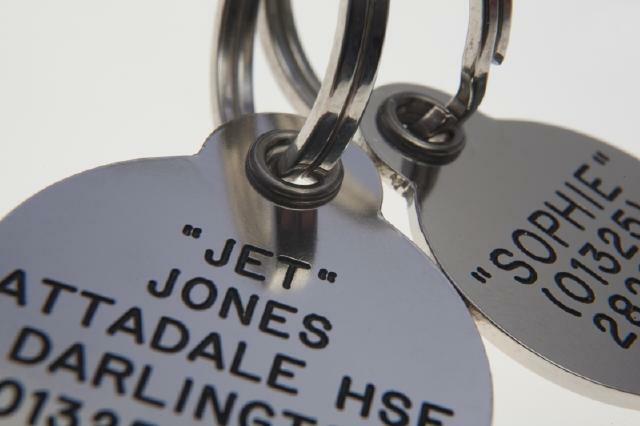 Do not put your pet's name on the tag. Only include your address, mobile, and landline numbers. 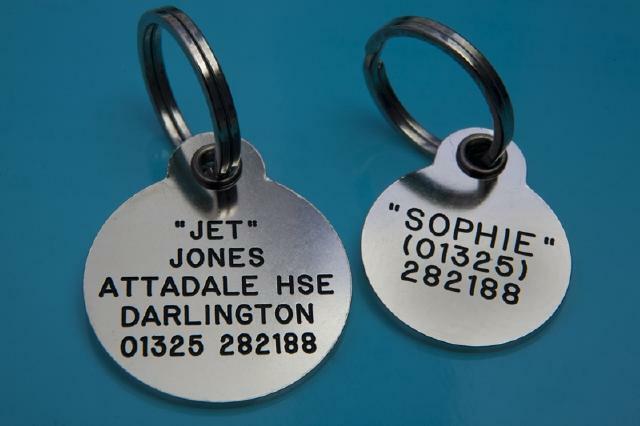 If the dog regularly stays with family/friends while you are away, consider buying another tag with their details on it in case the dog gets lost whilst under their care. Please note, that if a dog is found stray, and is not wearing a disc, dog wardens will take the dog straight to local authority kennels rather than attempting to contact the owner. Once tracked, the owner will then be charged a reclaim fee. If the dog is wearing its collar and tag, the warden may make contact and take the dog back to its owner. 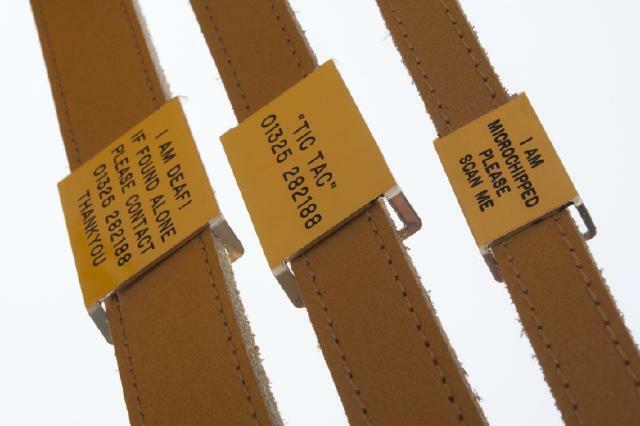 If there is no phone number on the tag, the dog's owner will be forced to call the dog collection service, and the owner will have to pay a hefty retrieval fee - usually over £100 for the first day; the fee grows every day after the lost day until the reclaim date. Many dogs are abandoned and put to sleep by councils because their owners cannot afford the reclaim fee. Our advice is to buy two tags. That way, if the dog manages to lose the first one (which dogs always seems to do without fail), you have a spare to put on immediately! 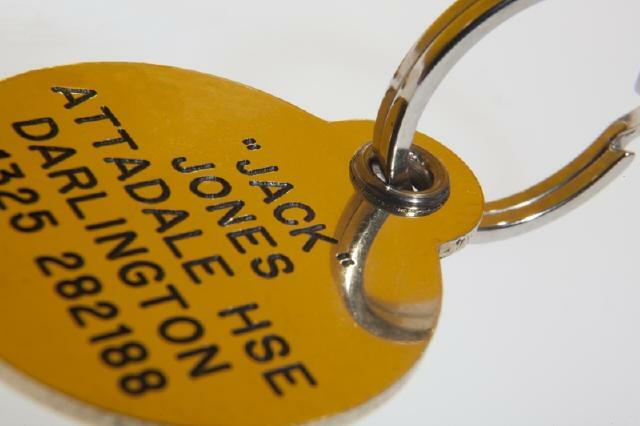 Upon rehoming, don't forget to order an identification tag right away. 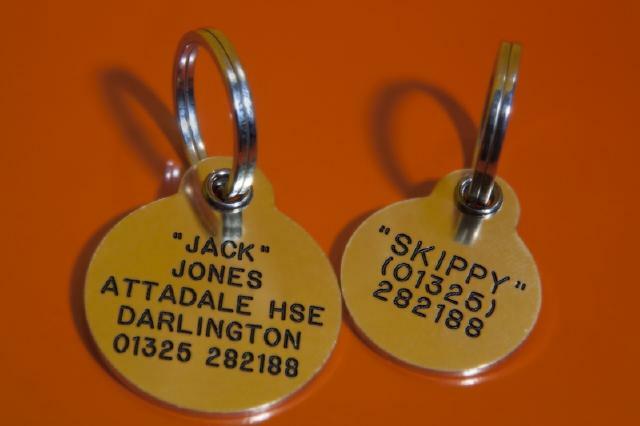 A microchip is not guaranteed to be picked up when scanned so a tag should also be used. Thousands of pets go missing every year and are not returned to their owner because they have no form of identification, Where their owners find them, they have to incur large reclaim bills. 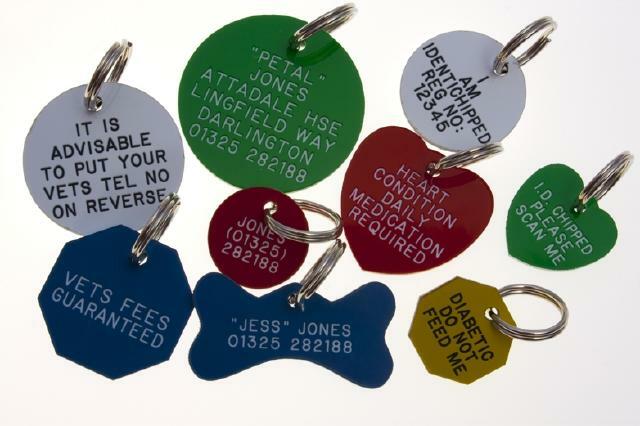 The Control of Dogs Order 1992 mandates that any dog in a public place must wear a collar with the name and address (including postcode) of the owner on it. Telephone number is optional (but advisable). We advise no pet name. If your dog is found without identification you may be liable for up to a £5000 fine! 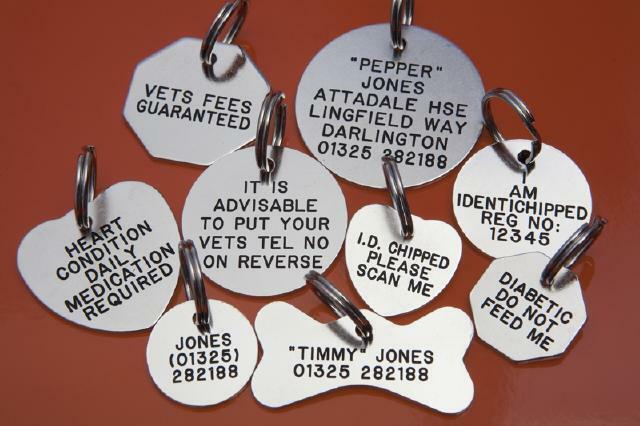 Rescue Remedies is offering to arrange pet tags of a very good quality either ready prior to you adopting a dog, during the process or at anytime after. 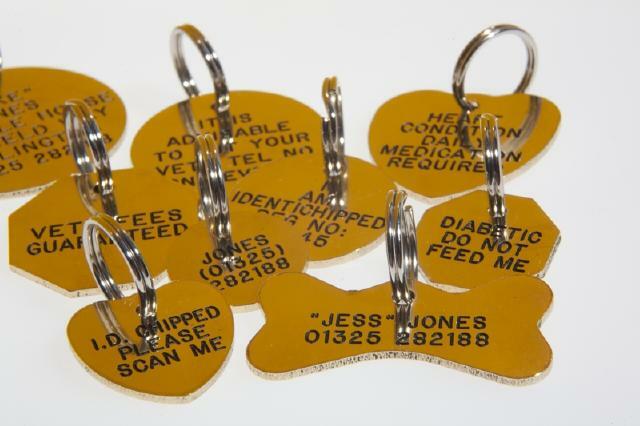 All Rescue Remedies dogs carry the Rescue's tag, and when you replace this with your own it means the Rescue can reuse theirs. Postage is second class unless requested otherwise; first class: 15p on all tags. On placing the order they are posted directly to you within days. 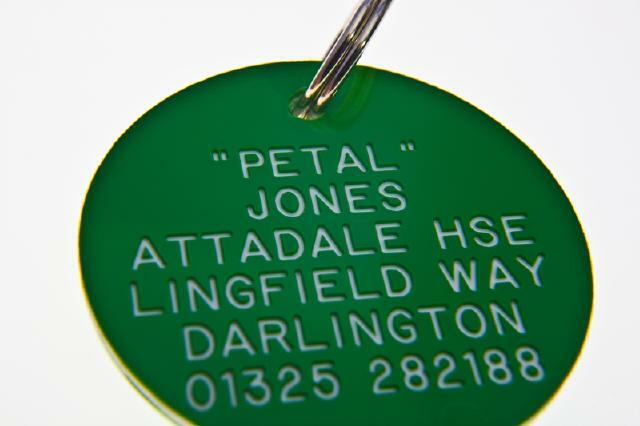 Acrylic tags in White; Red; Green; Yellow or Blue- complete with quality split ring. Brass: 1.6mm thick. Black etched letters for legibility; with quality split ring. 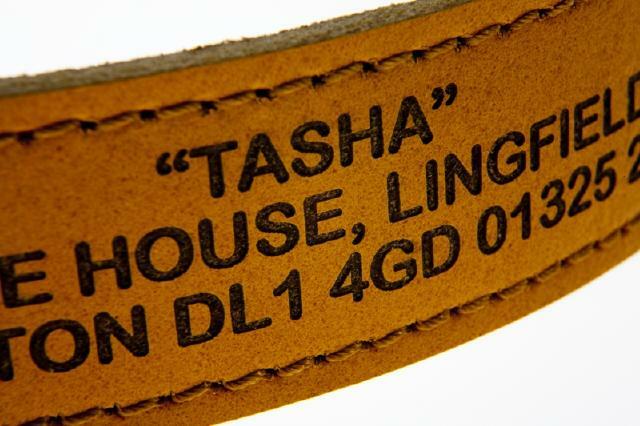 Brass collar tags 4 sizes; 6 lines one side, fits onto a plain-tail ended collar. Nicron: 1.6mm thick. Black etched letters for legibility; with quality split ring. 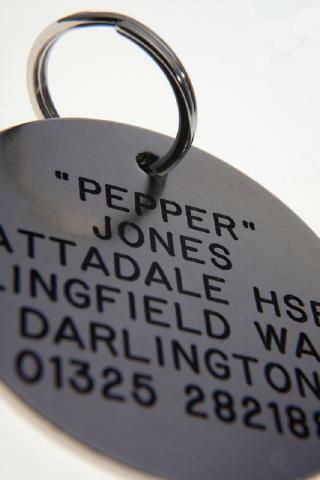 Styled: Mirror polished tags with one side of deep mill engraving (up to six lines) and a colourful enamelled design on the reverse. Deep mill engraved and infilled in black for legibility. 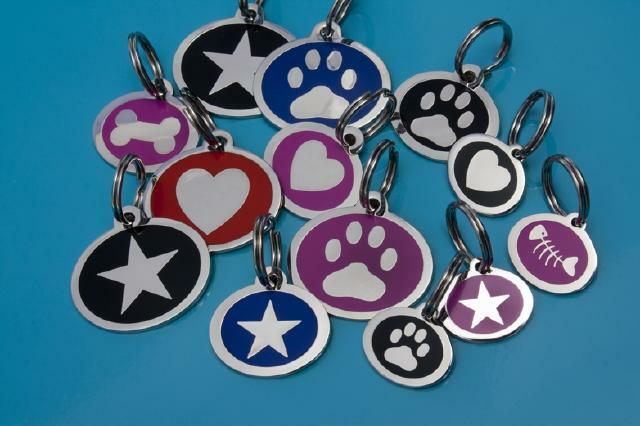 Dog tags available in: red/ pink/ black/ blue and in four designs: star/ paw/ bone/ heart, in small or medium. Cat tags available in red, pink, black, blue. Come in 4 designs: star/ paw/ fish bones/ heart, with 3 lines of engraving. To place an order please email forum user lalapo at: lacoo@hotmail.com Your orders will be processed quickly. Payment will need to be either by cheque (however this will slow delivery times) or by direct bank transfer. If you want to pay by bank transfer please state this in the email so she can contact you with the necessary bank details. A small percentage of the tag cost is returned to Rescue Remedies by the tag company.